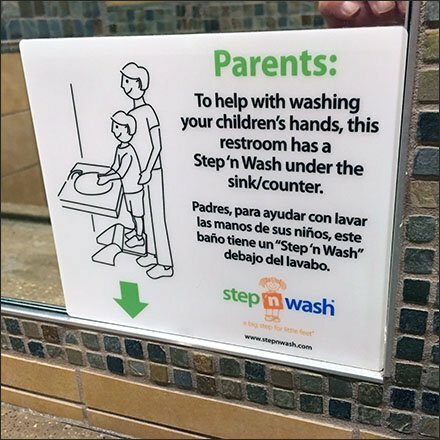 In case you didn’t notice, or just didn’t understand the opportunity, Restroom Use Instructions For Step-N-Wash points out that it stands ready to help you train your kids in appropriate restroom etiquette. Do please wash your hands and attend to other civilized needs when using the rest facilities. This Restroom Use Instructions For Step-N-Wash is there to help. Signing and Step-N-Wash seen at Wegmans.